All foreign investors must now pay a fee before their foreign investment application will be processed whilst stricter penalties have been put in place to ensure compliance with foreign investment rules. In a recent report Knight Frank Residential Research researcher Michelle Ciesielski said the changes, which came into effect on 1 December, were not designed to deter foreign investment into Australia, rather ensure the current rules that limit foreign investment in established dwellings were enforced. "Until this time, there has been poor policing by the small team at the Foreign Investment Review Board (FIRB) resulting in limited penalties imposed on those who breach the rules," she said. "For a long time, the framework was undermined due to poor data collection, along with a lack of audit, compliance and enforcement. "Foreign investors will now pay a fee to the ATO before their foreign investment application to buy residential property is processed. For properties valued at AUD$1 million or less, an application fee of AUD $5,000 will be collected. If the property is valued over AUD$1 million, AUD$10,000 is payable with an AUD$10,000 incremental fee increase per additional AUD$1 million in property value. The Chinese buyer of Villa Del Mare at Point Piper in Sydney was forced to sell after breaching foreign investment rules. [/caption]Stricter penalties also now make it easier to pursue foreign investors that breach the rules. Criminal penalties have increased from AUD$90,000 to $135,000 for individuals and divestment orders are supplemented by civil pecuniary penalties. Infringement notices for less serious breaches of the residential property rules also apply. Third parties who knowingly assist a foreign investor to breach the rules are now subject to civil and criminal penalties. Treasurer Scott Morrison said the Government welcomed foreign investment that was not contrary to our national interest. "Without foreign investment, production, employment and income would all be lower. 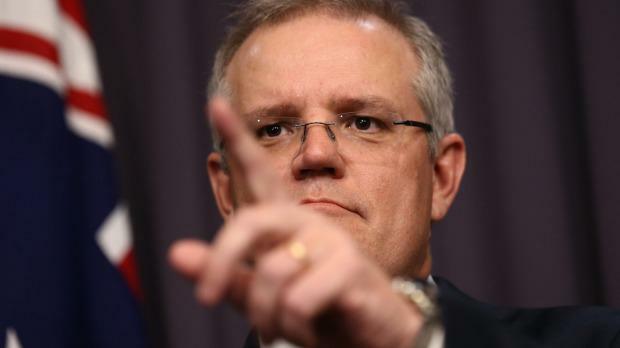 But it is important that foreign investment is appropriately monitored to ensure that it benefits all Australians," Mr Morrison said. "Foreign investment rules need to be strong, effective and enforceable. Foreign investors who have breached the residential real estate rules had until yesterday (November 30) to voluntarily come forward under the reduced penalty period. From today (December 1) any investors caught in breach of the rules will face severe penalties. "The ATO has taken over full responsibility for enforcing residential real estate purchases by foreign citizens and existing criminal penalties have been increased to $135,000 or three years’ imprisonment, or both for individuals; and up to $675,000 for companies. The new rules were developed after the number of foreign investment applicants growing almost three-fold over the course of 2013-14. "Over the same time, as residential property prices rose significantly in many suburbs across the country, the Australian public had become increasingly concerned that the influx of foreign purchasers were having a direct impact on mainstream (established) house prices," Ms Ciesielski said. This placed pressure on the now former Treasurer, Hon Joe Hockey MP, to provide clarification on the role foreign investment plays in residential property. After a lengthy and comprehensive inquiry by the House Economic Committee, legislation was slated in late November 2015 with a stronger foreign investment regime coming into effect from 1 December 2015. Under the new rules property developers can apply for a new dwelling exemption certificate to sell new dwellings in a development of 50 or more residences to foreign investors. However the Government has tightened the rules around the use of new dwellings exemption certificates by limiting the value of all apartments that can be bought by a single foreign investor to $3 million in the one development. If foreign investors want to purchase apartments above this value, they are required to seek individual approval.